Last week I watched The Lion King Musical, the highly anticipated show, at The Sands Theatre, Marina Bay Sands. It was my first time watching the show. 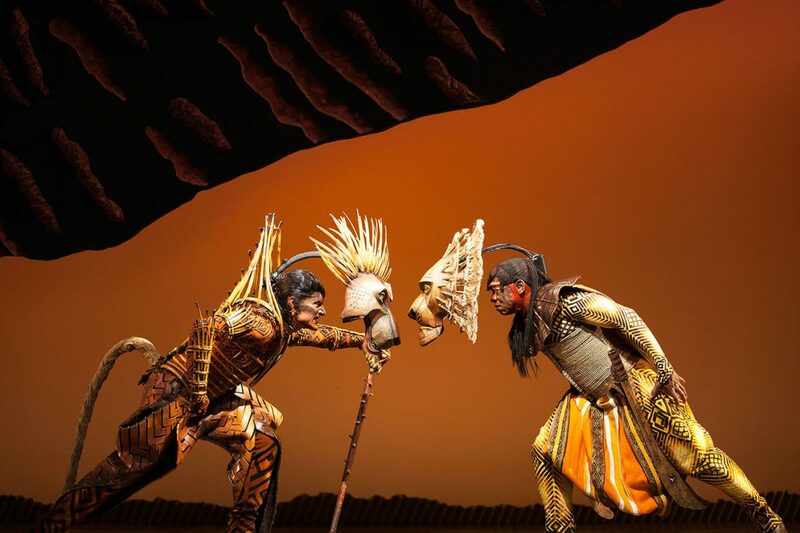 People say The Lion King Musical that has won over 70 major international theatre awards and widely respected by the people around the world is a must-watch show. I watched the show with Lemon and the mamas. We secured the tickets for 10 of us from a month before. Lemon was very excited, she kept asking me when are we going to watch the show whenever she sees the advertisements. Lemon’s first encounter with The Lion King was years ago. It was the first storybook where she learned about antagonists and death. I remember how she responded when she knew that Scar is actually mean and she also felt sad when Mufasa died. Lemon is currently in the ‘I don’t like taking photos’ phase. The show started with the most epic and memorable movie intro, Circle of Life followed by the animals parade coming through the aisle. It was just the opening but we were already spoiled by the colorful wardrobe and the dramatic lights on the stage. They were acting, dancing and singing to the live music. My eyes were hooked to their props and wardrobe details that must be beautifully and carefully crafted. The story was no different from the movie but the musical version was more in-depth and detailed. It took 2,5 hours including intermission for the whole show. One interesting thing was that they infused some local jokes using Singlish into their lines. It sounded a bit weird but it successfully cracked us up. From one article that I read, it is said that the dancers have a strong ballet and modern dance background. The choreographer combined a variety of Ballet, Jazz, Modern dance, African dance and also Balinese dance! No wonder that their performance was remarkable. It is true when they say The Lion King Musical is one of the best musicals ever. Everything I saw was only perfection. From the way they sing to the way they dress. From the music player to the way they act and dance. The kids were also mesmerized by the show, although Lemon told me that the story was a bit weird because Mufasa came back from the dead (which actually, it was his spirit who talks to Simba), she said it doesn’t make sense hehe. We came out of the theater with a happier and a warmer heart. You felt like you wanna appreciate every single one of them in the production because they have successfully delivered a very entertaining and a pleasant show. Head to the MBS website to purchase the ticket, the show is still gonna be there until September 23, 2018. All stage photos are from here.